Folding boxes for decks of game cards were developed for a client. These were then placed in the game`s outer packaging, a three-part rigid box with a lift-off lid. The assembly and packaing of the game was also carried out by hertel. A folding box incorporating a Euroslot header was developed. A clear window was realized in order to make the products visible in the packaging at the POS. A polystyrene insert ensured the product was held securely by the packaging. Packaing for high-end customer gifts was developed for our client. As the products to be packed were complex, a flocked polystyrene vacuum-formed insert was used. hertel - your specialist for packaging, displays, inserts and service in all of these areas. 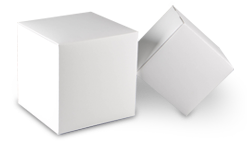 Profit from our expertise in the realm hofhight-quality packaging, including covered boxes, folding boxes, displays and vacuum formed inserts. As a full-service supplier, we support our customers at every stage from packaging development, the costruction of moulds, the printing of packaging, and all further processing steps right up to the application of finish and our packaging service. A diverse range of products and an attractive spectrum of services - hertel has what you need all under one roof. Every sector is different. Every sector has requirements of its own. hertel offers packaging solutions perfectly adapted to the needs of different clients in different industries. We rely on the newest technologies to do this, on our highly-qualified staff and on over 60 years of experience. The success of our customers is at the heart of everything we do. Modern maschines for high-performance production are our strong point. That doesn`t mean that we neglect the environment. Our 3 500 m2 production site was developed in cooperation with energy experts and the Fraunhofer process innovation project group at the University of Bayreuth. The facility meets energy-use standards 40% lower than those defined in the German Energy Saving Ordinance (EnEV) 2009. That reduces emmisons and saves energy.